So you created some really good content, now what? Blogs are an effective way for real estate professionals to promote themselves and build their personal brand. Increasingly, more and more professionals are turning to blogging as an efficient business tactic. Too often, great content gets lost amongst the clutter of social media or worse yet, never gets seen because the authors fail to grasp that strategic distribution is just as important as writing something impactful. Many times, bloggers waste their time by sending their content to the wrong outlets. Don’t bother sending it to a wide net of other bloggers and media outlets. It won’t get picked up by them. Rather, spend your time understanding how industry content platforms work and capitalize on their powerful distribution tactics. 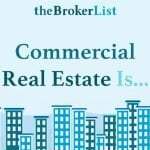 For example, The News Funnel is the largest content platform in the real estate industry. 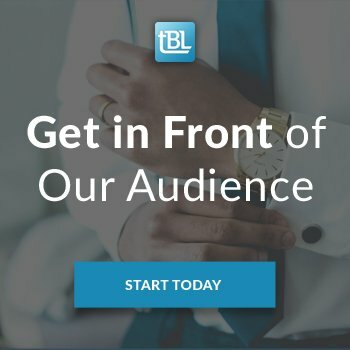 If you have a blog and need help with distribution, submit it to us and we will automatically stream each new post to our subscriber base of 125,000+ real estate professionals, for FREE. In the media landscape today, traditional media no longer harnesses the power they used to since now you can reach your target audience directly, without any middleman. 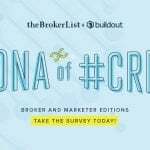 The News Funnel is the largest content platform in the real estate industry. 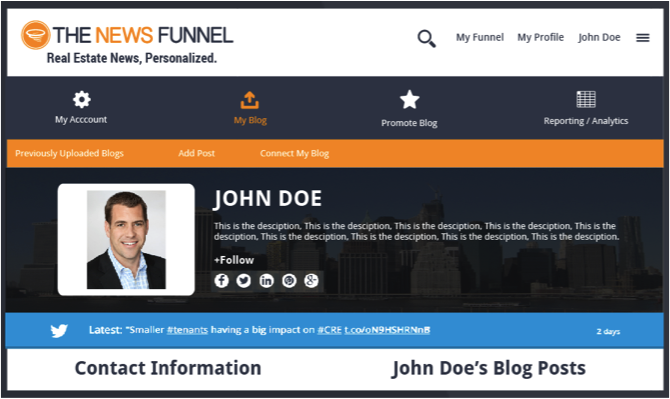 With thousands of news sources including local, regional and national media, blogs, press releases, video from news outlets, companies and professionals, The News Funnel personalizes its content for its hundreds of thousands of subscribers. What’s most unique about The News Funnel is that it allows for self-publishing so any professional can upload their own content to the site for free. 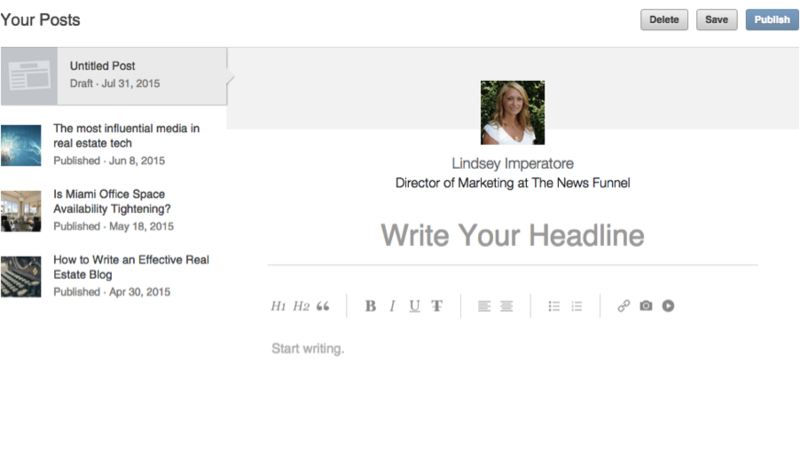 With LinkedIn’s long-form blog platform, you can post your content and share it beyond your network. This is also a great way to build your link strategy by including relevant links back to your original blog or website to enhance your SEO. 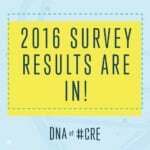 There are SO many real estate professionals embracing Twitter. 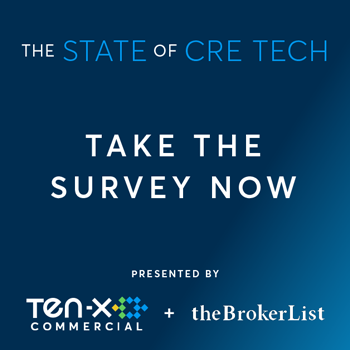 Start by connecting with the leaders in the industry to build your network (@dukelong, @allencbuchanan, @TNF_RE, @RE_TechNews, @BarbiReuter, @CoyDavidsonCRE). 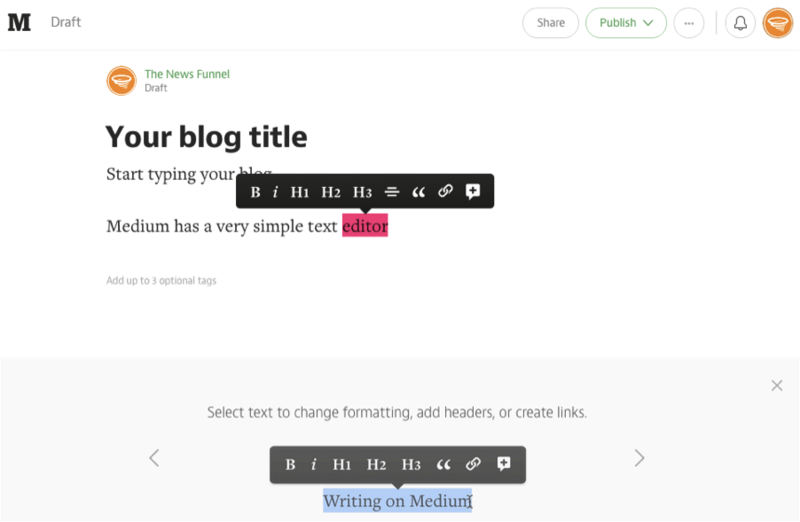 Medium’s self-publishing tool is another great way to share thought-leadership pieces, especially if you are new to this whole content thing. It’s simplicity and provides new content creators with a voice as it rewards content for quality, not for the popularity of the author. Creating great content is step 1 in differentiating yourself in your business, but just as important is distribution and visibility. Getting familiar with these platforms is key to being a successful thought leader. 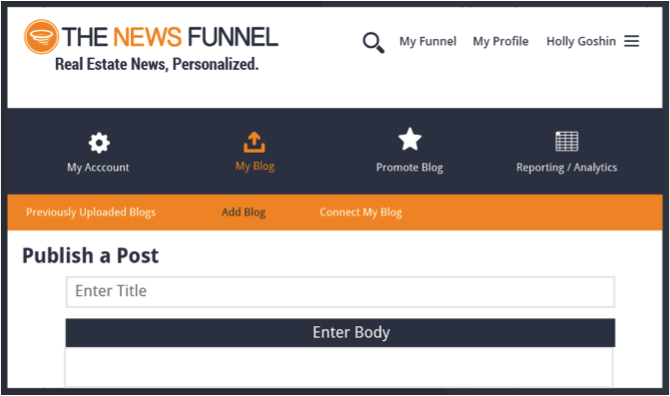 If you need help getting started with your own personal blog or company blog, The News Funnel can help. 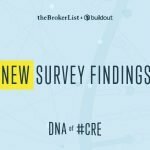 Our team of expert real estate writers can create compelling, SEO friendly and shareable content that captures your unique personality to jumpstart your digital presence. Email [email protected] for more details. 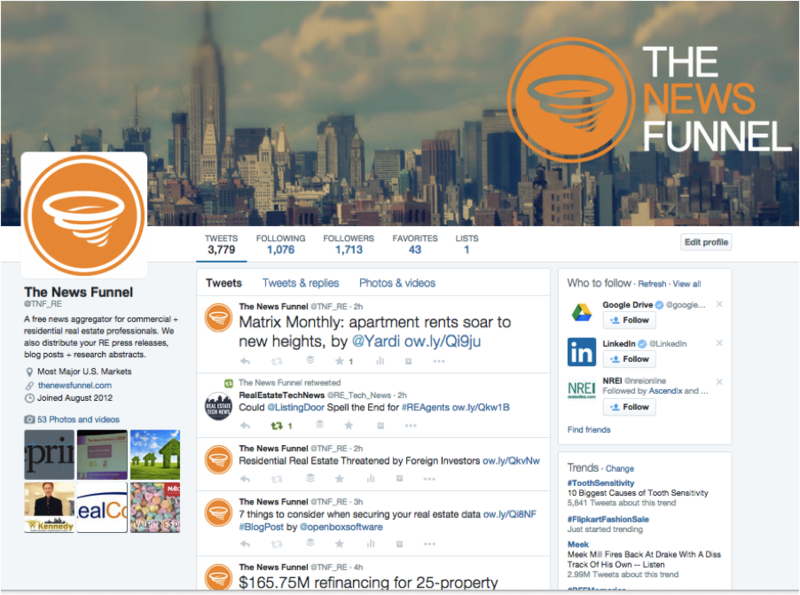 The News Funnel is the largest real estate news platform in the industry. The free site features over 5,000 feeds, sourced and indexed from industry-specific trade publications, major media sources, companies and professionals. In addition to search, subscribers can NAIOP San Francisco Bay personalized real estate news feeds based on their geographic markets, industry segments and areas of interest, that are accessible on their personalized home pages that refresh 24/7. Featuring a responsive design, mobile app and email alert, subscribers can access their customized news anywhere, at any time. The News Funnel is currently available in 55 markets across the U.S. and new markets are being added on a regular basis. For more information, visit www.thenewsfunnel.com. Download The News Funnel’s free app at www.thenewsfunnel.com/app. 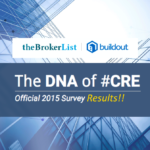 ClientLook And Buildout Announce IntegrationWhat’s a 1031 Exchange? Thanks for sharing. I am not sure I would suggest Medium over a site like theBrokerList. 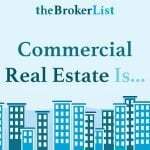 In general, yes, Medium is for the masses, but we are a small, niche industry (commercial real estate) and I would imagine starting out you are better off trying to get noticed within our industry first. Also, our industry colleagues are just starting to embrace the idea of content and online marketing so I would say that Medium may be too early for our industry to embrace. We are taking baby steps here! 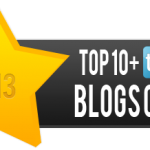 Good blog though and thanks for sharing your viewpoint.